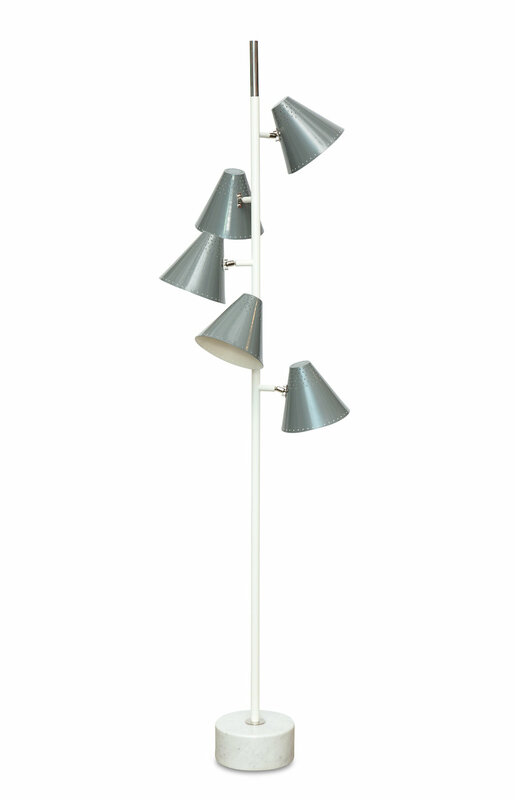 Tall pole lamp with 5 articulating gray cone shades with cut-outs. 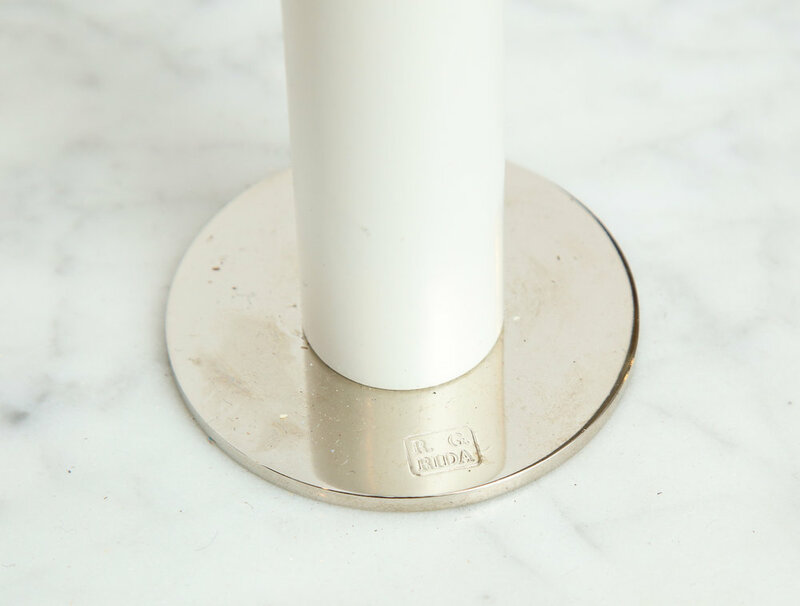 Thick circular marble base with floor switch. Lacquered & nickeled metal structure. 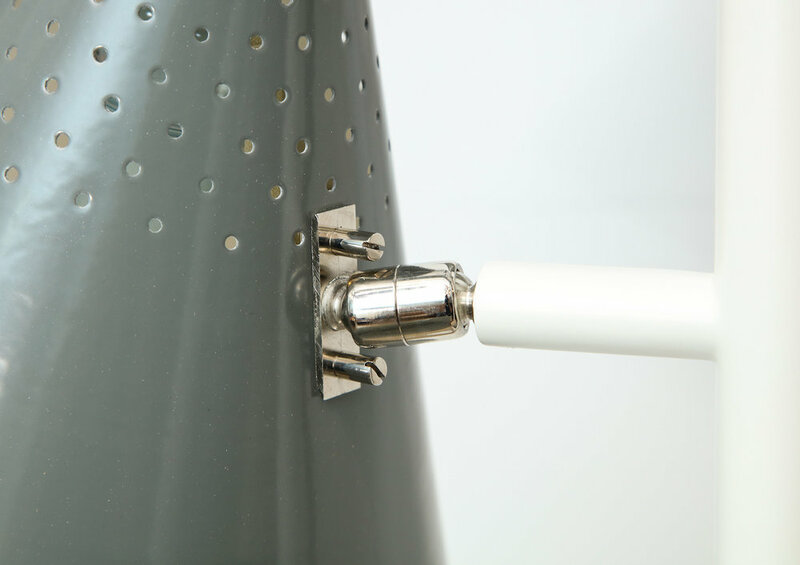 Each cone conceals one Edison socket.